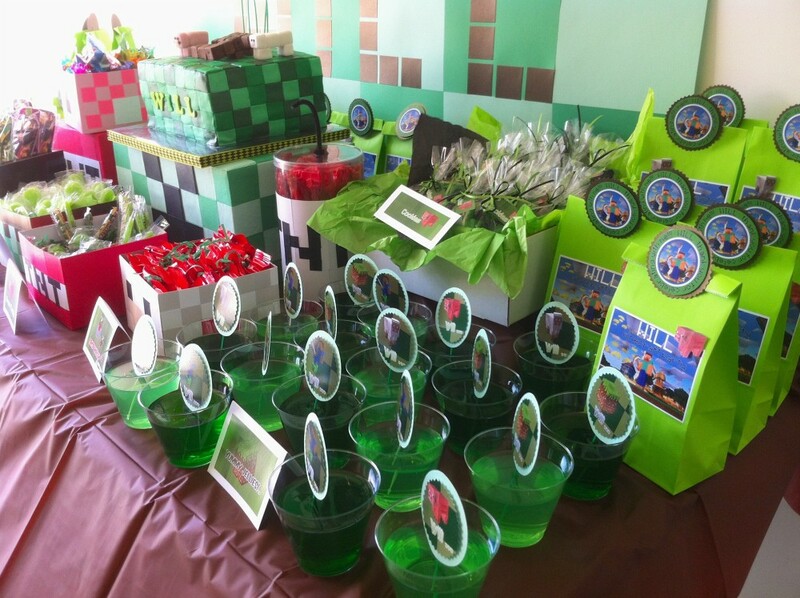 MineCraft Birthday Party Trendy Fun Party.He is a 5 year old cancer survivor and his parents were looking for something special for their little guy!. 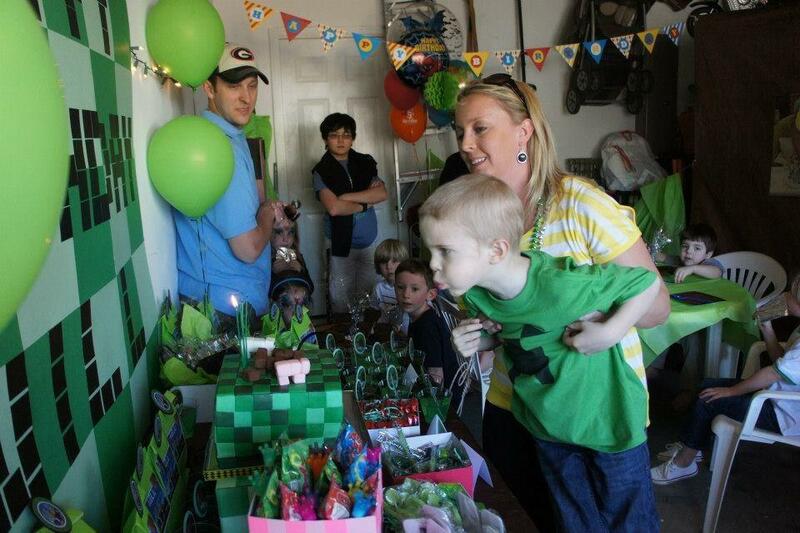 He is a 5 year old cancer survivor and his parents were looking for something special for their little guy! Birthdays are special for anyone, especially for the child, but when you go though something like Will’s story they are even more special. 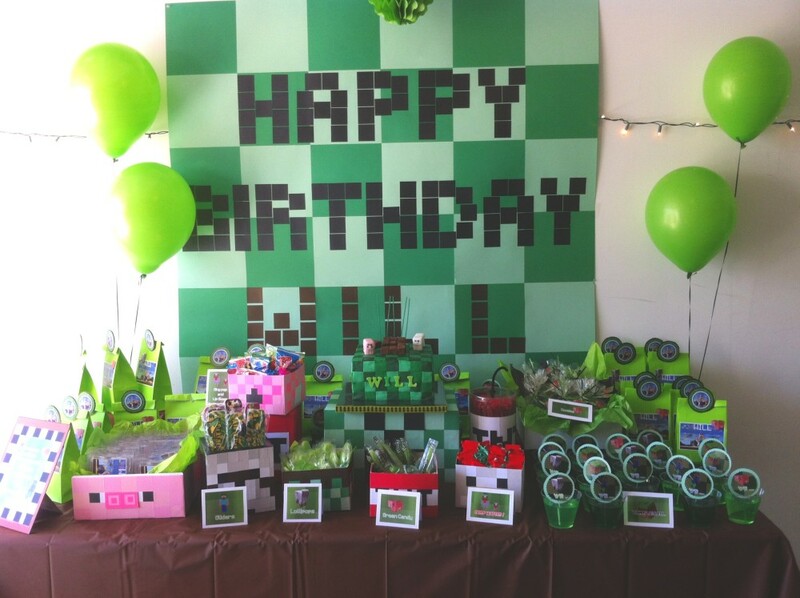 Will’s party was so special for me. 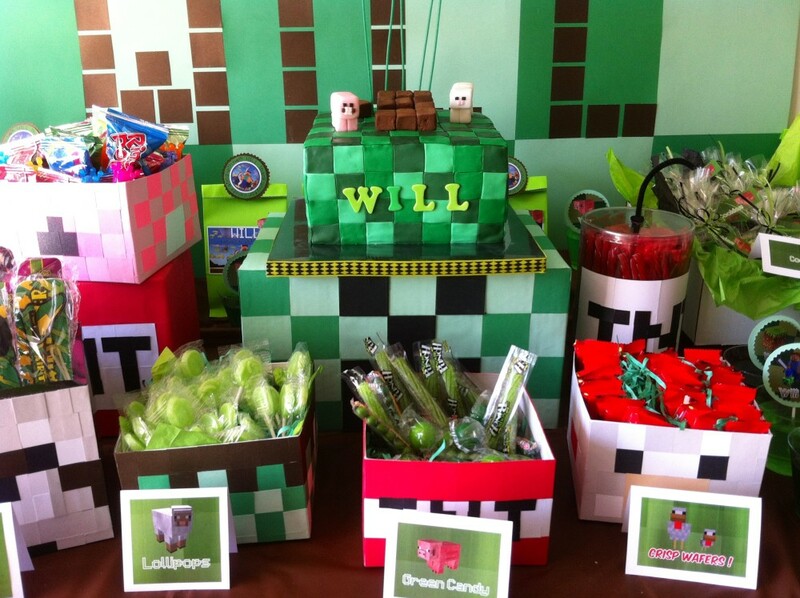 I created a colorful Minecraft dessert table with candy and snacks, homemade Minecraft cookies, yummy jello, and TNT cherry licorice candy. 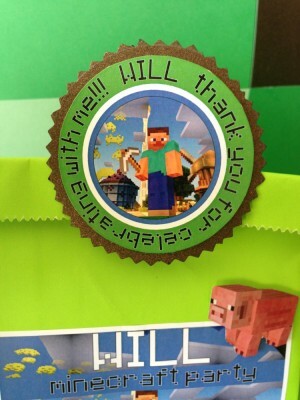 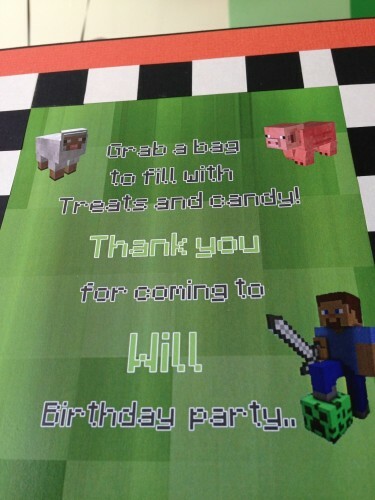 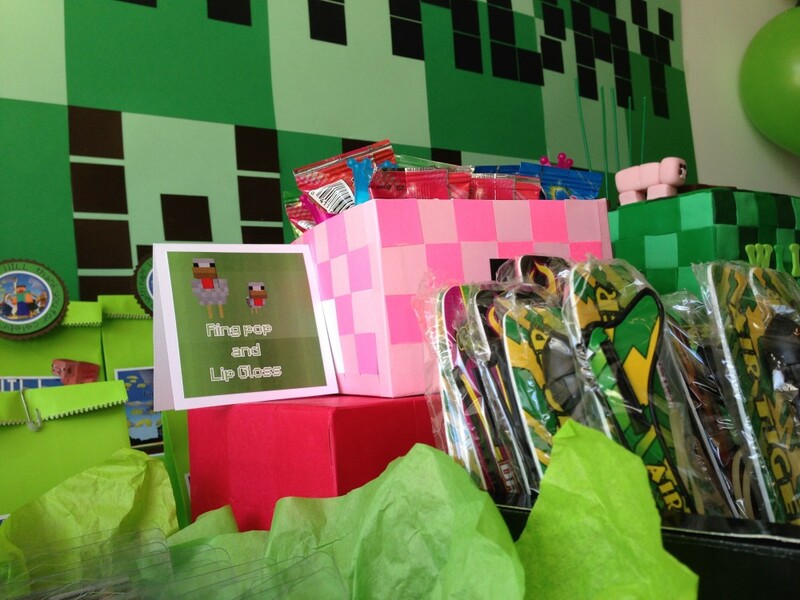 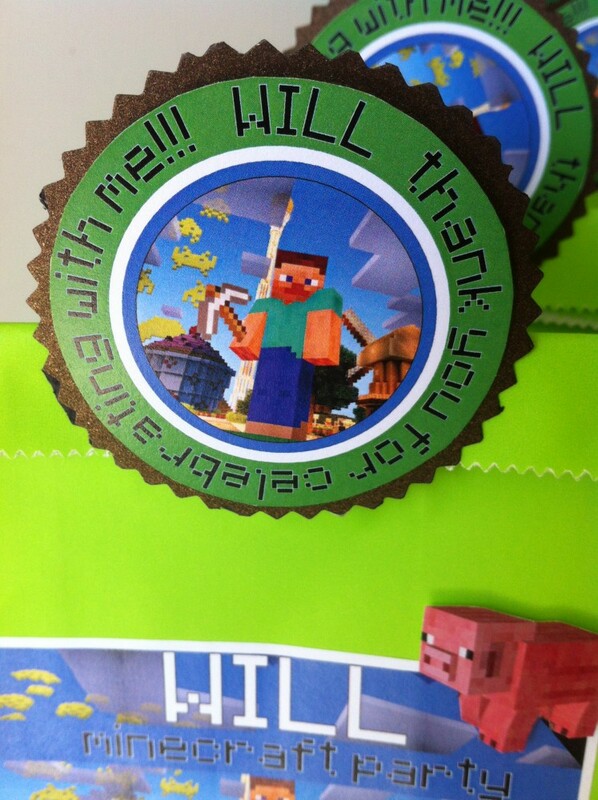 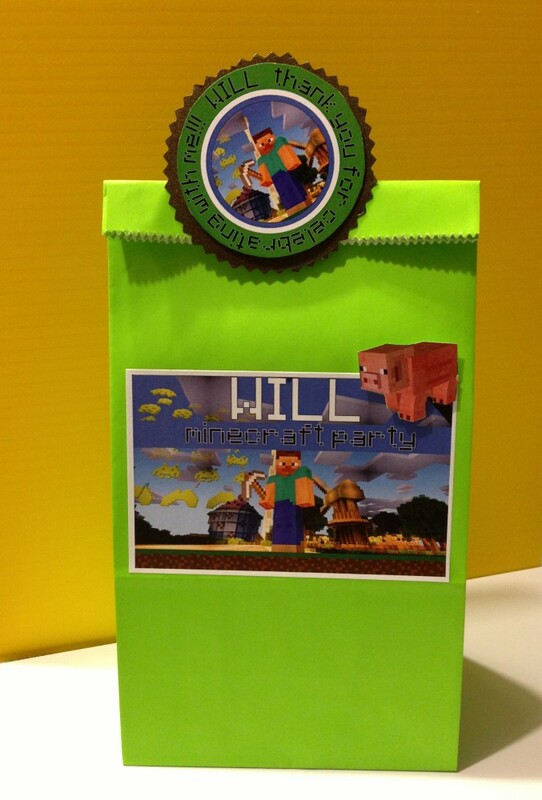 Some of my favorite details were the party favor bags and handcraft Minecraft boxes (with Minecraft icons like the pig, sheep, Steve and TNT). 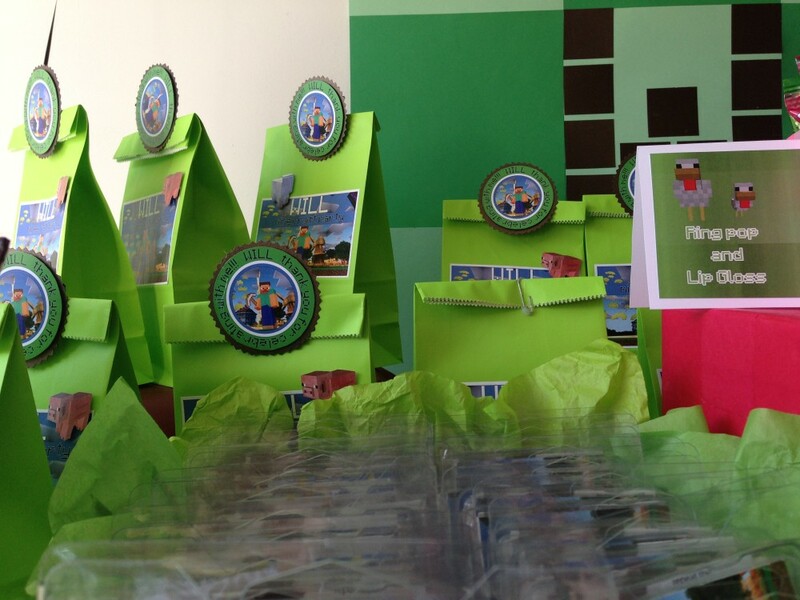 The kids filled their bags with candy and treats to take home with them. 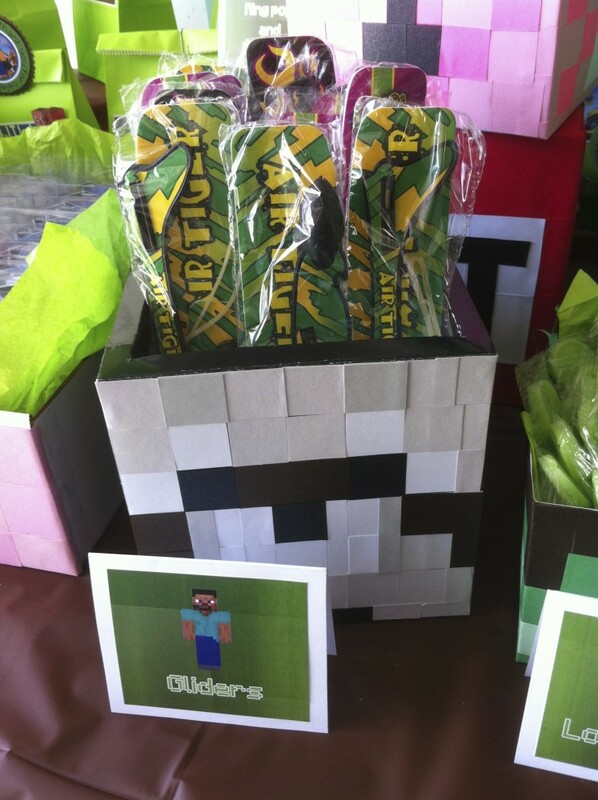 The Minecraft block cake was delicious and creative! 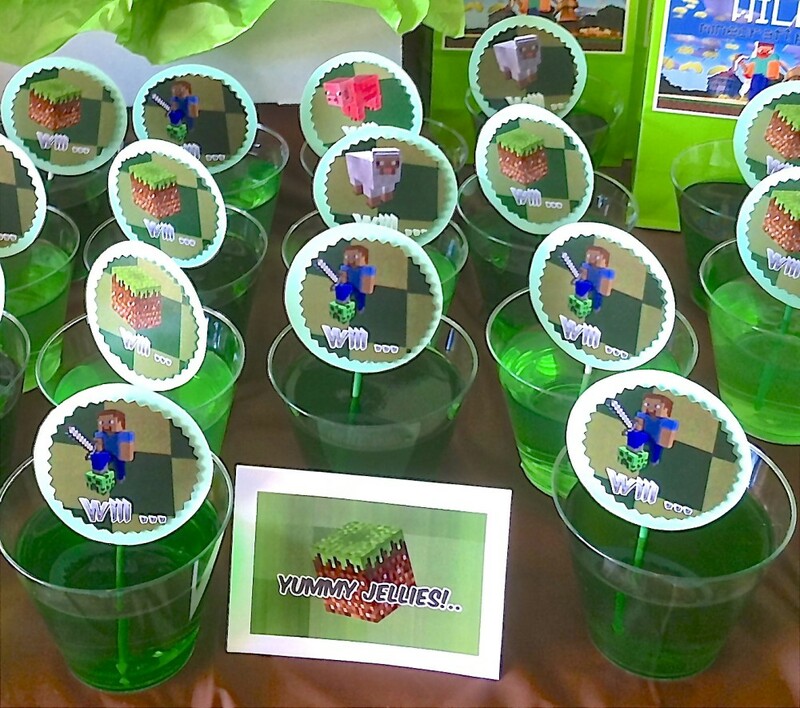 The party was a hit! 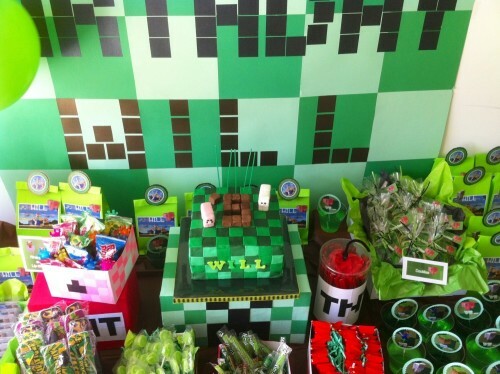 Happy Birthday Will! 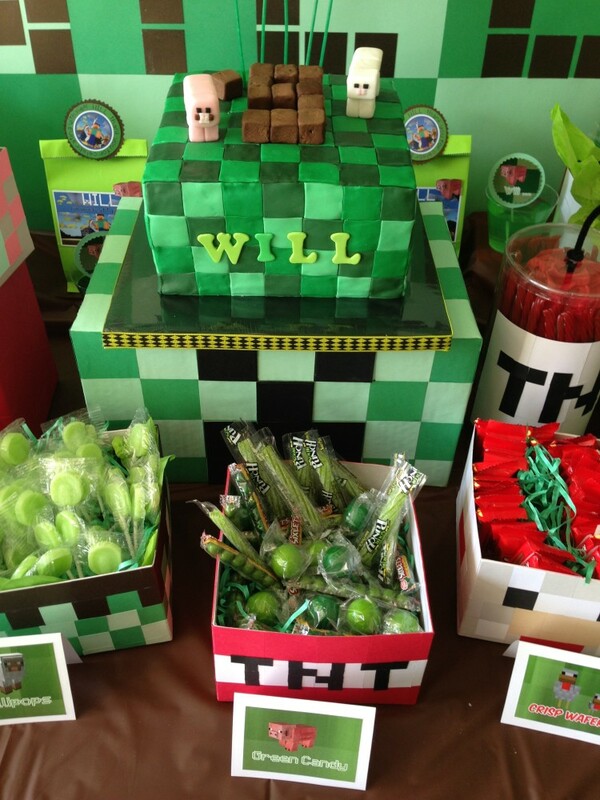 When you’re trying to find a Atlanta, GA, kid’s birthday parties planner to help you pull together an event for your child like MineCraft Birthday Party Trendy Fun Party is available to assist you. 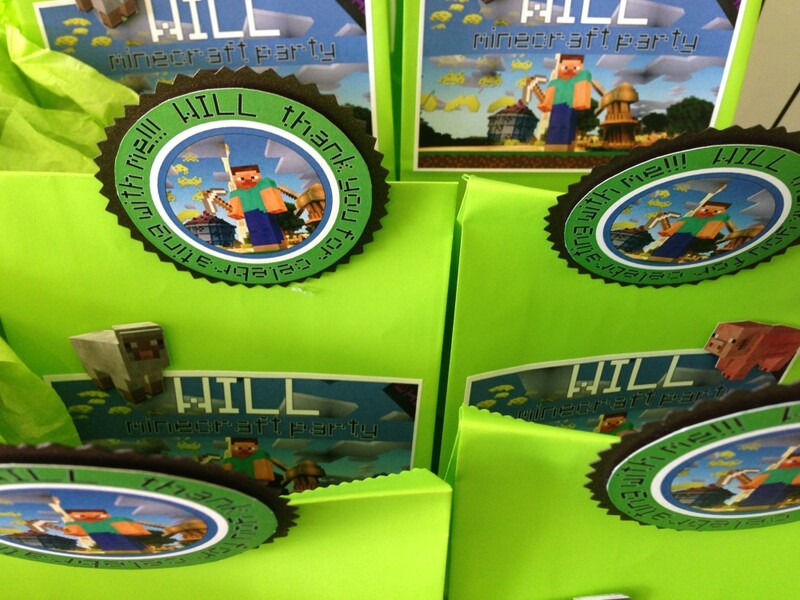 Our company provides excellent customer service, and we work hard to assemble customized ideas for each event that we plan. 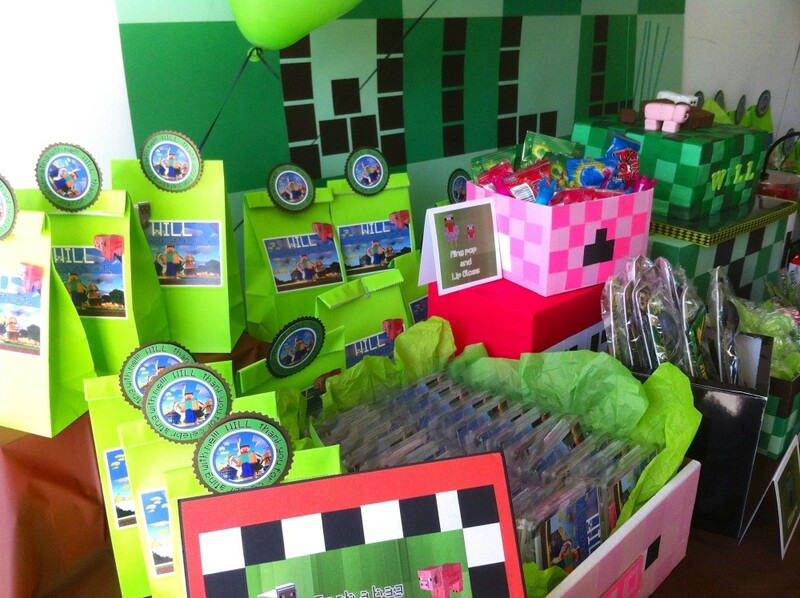 Trendy Fun Party handles events intended for the family, adults, children and teens. 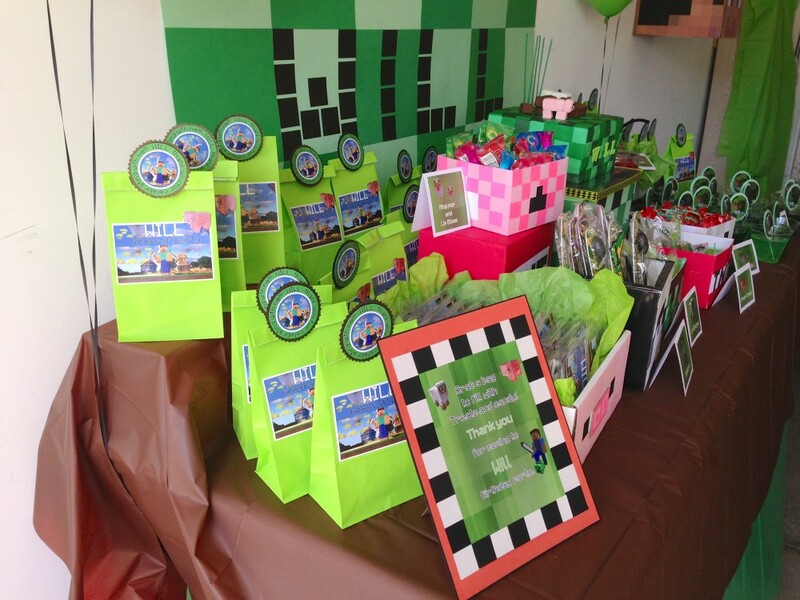 We’re the Smyrna, GA, kids’ birthday parties planner that area families trust when they expect everything to go off without a hitch. 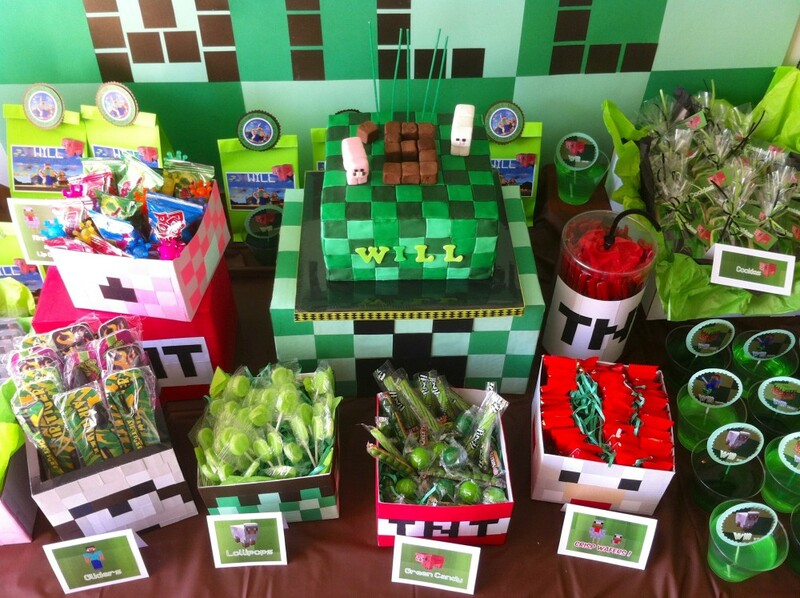 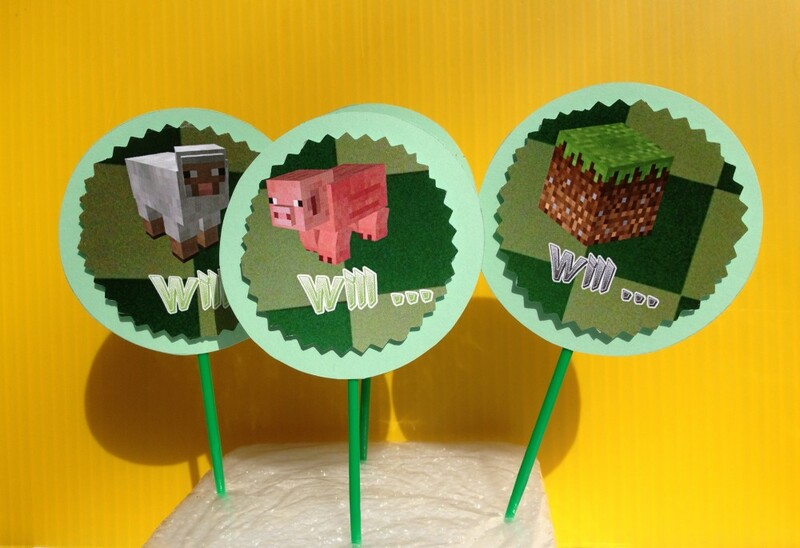 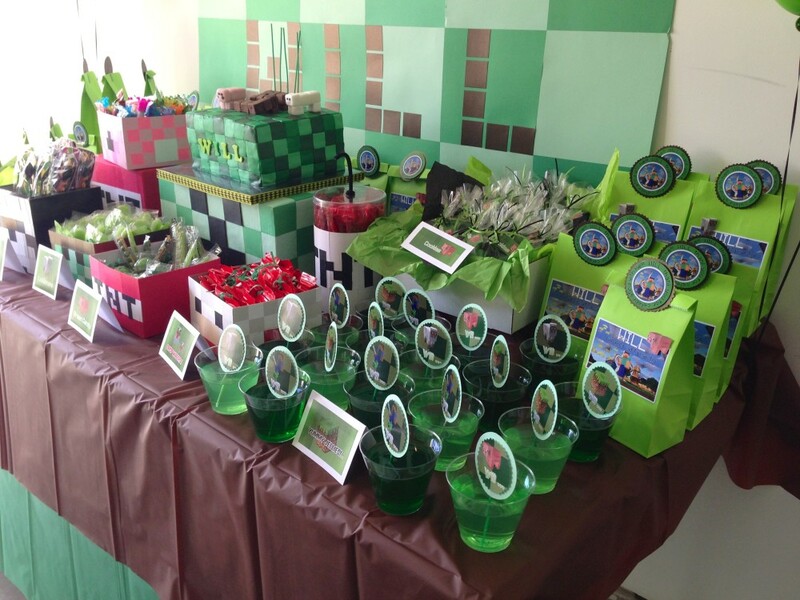 Make arrangements to discuss your ideas with one of our knowledgeable and hardworking planners, and we’ll help you come up with an idea like a MineCraft Birthday Party that will leave your children and their friends feeling amazed.